The most important novelty of Regulation EU 1169/11 (FIR) with no doubt is the attention given to allergens information, which must be provided also on foods provided from bars and restaurants, and it must receive proper distinction within the ingredient list of the labels, menus, registers. the declaration must reflect the outcome of a real assessment within the HACCP system, after a proper implementation of GMPs, rather than a clumsy attempt to self-release from liability. 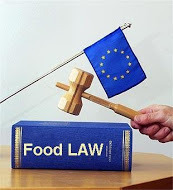 Finally, harmonized rules must be established on the risk management of foods containing undeclared allergens, to be qualified as unsafe and treated correspondingly under the General Food Law (Reg. EU 178/02, Art. 14 and 19). The ‘vegetarian’ and ‘vegan’ food sector has been steadily growing over the last years. However, more and more of these products are presented as imitations of meat-based ones, having the same appearance and similar names (i.e. veggie bresaola, veggie mortadella, veggie ham, vegetarian sausages, veggie chipolata). Furthermore, guarantees on the effective compliance with the vegetarian and vegan criteria are lacking, with specific reference to some ingredients and additives of either vegetal and animal origin. It seems therefore crucial to define clear rules on food information to consumer regarding products to be presented as ‘suitable for vegetarians’ and ‘suitable for vegans’. By clarifying the process and product criteria, and banning the use of misleading names (as in the case of s.c. ‘Meat Sounding’). Marketing standards for meats must be provided as well, at the EU level, as it was made in the diary sector (Reg. EU 1308/2013). The situation is indeed fragmented, whereas only Italy, Spain and France have provided legal names to some meats, meat preparations and cured meats. Some MEPs (Renate Sommer, Paolo De Castro and Giovanni La Via) recently raised the issue, meat standards are also provided from the Codex Alimentarius. But the European Commissioner Andriukaitis seems to be reluctant to act. According to the him, there is no need to take actions as to better inform the consumers on the true nature of the products. What a shame for the Internal Market! Origin labeling requirements are the welcomed ‘new wind’ in the EU food law. While the EU institutions slowly proceed on the implementing and delegated acts provided in the FIC, Member States are rapidly working on national provisions (from art. 38, 39-44 of reg. 1169). This seems the case for France, Italy, Greece, Portugal and Finland among others on milk and dairy products, with no objections from the EC which is ‘de facto’ recognizing the role of consumers’ preferences within the overall quality profile. However, there are some pending issues: first, with regard to swine and poultry meats origin labelling, as from Reg. EU 1337/2013. In absence of a legal distinction amid fresh meat and seasoned-cured ones, it is not always clear to which products origin requirements apply. An overall uncertainty also reigns on the enforcement of the mentioned rules – and the traceability beneath – on meats to be sold loose or packed in the retail premise for direct sale. While the Commission declares that “it is necessary to set rules providing for sufficiently precise and meaningful information on the country of origin or the place of provenance of the primary ingredient where it is given, enabling the consumers to make their choice in full knowledge of the facts”, no one has ever defined what is meant to be as “place of provenance”, only provided to be different from “country of origin”. Lastly, If problems on origin arose from equine meat, and “horsegate”- it is not difficult to predict that rabbit meat and other types of meat currently witout COOL will be very soon the reason for new food scandals. So it is imperative to come quickly to a frame regulation on other types of meat not presently covered by COOL. FARE Food and Agriculture Requirements, Food Information Regulation; reg. UE 1169/11, Food labels, Great Italian Food Trade.